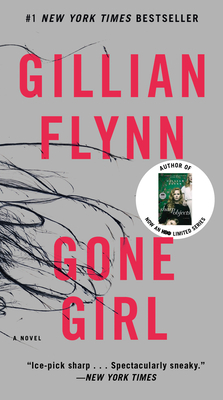 GILLIAN FLYNN is the author of the #1 New York Times bestseller Gone Girl, for which she wrote the Golden Globe-nominated screenplay, and the New York Times bestsellers Dark Places and Sharp Objects. A former critic for Entertainment Weekly, she lives in Chicago with her husband and children. "Flynn cements her place among that elite group of mystery/thriller writers who unfailingly deliver the goods...Once again Flynn has written an intelligent, gripping tour de force, mixing a riveting plot and psychological intrigue with a compelling prose style that unobtrusively yet forcefully carries the reader from page to page." "Flynn masterfully lets this tale of a marriage gone toxically wrong gradually emerge through alternating accounts by Nick and Amy, both unreliable narrators in their own ways. The reader comes to discover their layers of deceit through a process similar to that at work in the imploding relationship. Compulsively readable, creepily unforgettable, this is a must read for any fan of bad girls and good writing."